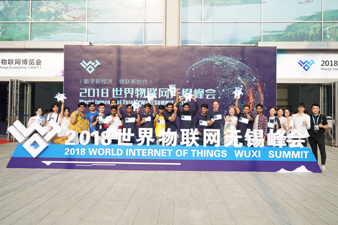 A group of expats living in Wuxi, Jiangsu province visited the city's 2018 World Internet of Things (WIOT) Expo on Sept 15, experiencing some of the latest cutting-edge technologies. The expo, which has been held in Wuxi for the past two years, has become China's top internet of things (IoT) event and showcases the latest products, technologies, models and development trends related to the IoT. The lucky group of expats appeared to enjoy their time at the expo, with many of them trying out the various gadgets on display, such as 3D printers and virtual driving technology.